We are currently not accepting orders. Any orders placed through this store will not be honored or fulfilled. 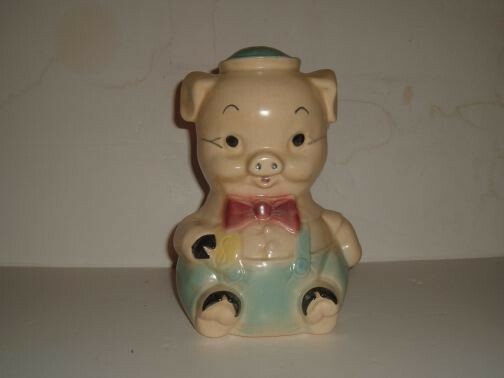 Sitting Piggy Bank by Brush. circa 1966. Marked: 837 USA Brush. From a private collection the Bank is in excellent condition. © 2014 Bella Mia, Inc. All Rights Reserved.